How does testing of Sesam with our own data works? You can test Sesam with your own data. We implement Sesam in your company. After 5 days the first reports are ready for the test. After 15 days all reports are connected to your data. After that you can test Sesam free of charge and without any obligation for the following 20 working days. Afterwards, you are free to decide if you would like to continue using the application for a monthly rental fee. If you do not use the access and do not enter into a contract with us, the application with your data will automatically be deleted. Cancellation is not required. You need valid SAP ERP and SAP BW licenses (Bring your own license). The offer is limited with regard to the number of participants. We implement Sesam in your company. After 5 days the first reports are ready for the test. After 15 days, all reports are connected to your data. After that you can test Sesam free of charge and without obligation for the next 20 working days. Afterwards, you are free to decide whether you would like to continue using the applications for a monthly rental fee. If you do not use the access and do not enter into a contract with us, the application with your data is automatically deleted. Cancellation is not required. You need valid SAP ERP and SAP BW licenses (Bring your own license). The offer is limited with regard to the number of participants. We would like to test Sesam, but we do not have the capacity to implement the test system in 20 days. The effort for the implementation is almost exclusively on the side of conesprit. The time needed on your side is about 2-4 hours for your IT infrastructure, and about 6 hours for the participation in a customizing workshop. We do not have a SAP Business Warehouse, so we can not test and introduce Sesam. There is no existing SAP Business Warehouse necessary for the test and / or the introduction of Sesam, because Sesam is a SAP Business Warehouse with ready-made reports. Register on our site with a desired date. On request we will visit you and present Sesam or we will arrange an appointment for a Sesam online demonstration. Sesam is the first SAP BI as a Service solution. The application is based on a pre-configured SAP Business Warehouse with out-of-the-Box standard reports and self-service BI function for different business departments (controlling, financial accounting, sales, purchasing and storage). Individual, enterprise-specific application elements are based on templates and can be created time- and cost efficiently. Sesam is installed in 20 days in a web-based cloud which can be accessed from everywhere. It complies with the latest technical safety standards and is based in Germany. Operation, support and further development of the Sesam solution have been outsourced to the Sesam Support Team. Sesam is a rental solution. High initial investments are not made. Why is Sesam suitable for SMEs? SMEs often encounter problems with the introduction and the operation of SAP Business Intelligence, as sustainable solutions are very resource and cost intensive. The Sesam Business Warehouse and its standard reports are installed in 20 days. In comparison, a company has to invest about three years of consulting for the introduction of a classic solution. As a rule, a company must employ 1-4 employees to operate, develop, and support SAP Business Intelligence. In the case of Sesam, these services are outsourced to the Sesam Support Team. Sesam has a large number of standard reports. While the business departments have to devote a great deal of time to the report specification of a classic solution, this is only necessary for individual applications with Sesam. Sesam is rented and can be canceled. The application is pre-configured, uses the cloud, and shares the license usage. It can therefore be offered at much lower costs than a classic solution. What is special about Sesam? Only companies that recognize opportunities and risks quickly can secure competitive advantages. Due to the high data volumes, a manual path for a sensible information retrieval is hardly possible. Especially SMEs need to implement a BI solution at sight, because wrong decisions due to inadequate information are more difficult for SMEs than for diversified corporations. With limited resources, many SMEs are afraid to introduce SAP Business Intelligence. This is where Sesam starts. Sesam is offered as Software as a Service, is quickly implemented and does the operation, support and further development for the SME. It is not necessary to fill new IT positions. High initial investments are no longer required; they are replaced by a rental fee which can also be canceled. The departments can concentrate on the cause and potential analysis and significantly reduce the data collection effort. In addition, Sesam is an important step towards up-to-date digitalization. What are the requirements for using Sesam, the SAP Business Intelligence tool? Your company needs a valid SAP ERP and SAP BW license. Depending on how your existing SAP licenses are issued, you do not need a separate SAP BW license. What licenses are required to apply Sesam? You need valid SAP ERP and SAP BW licenses (Bring your own license). These are not included in the Sesam rental fee and must be purchased from SAP. Our company is different from others, and we cannot imagine that Sesam is a solution for us. Each company is very individual. That is why we have made Sesam modular and expandable. We can very quickly develop customer-specific requirements for you and provide them alongside the standard report portfolio. 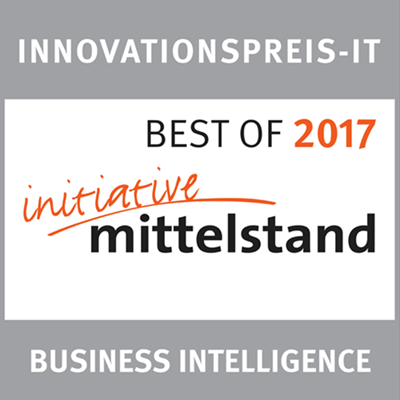 We already have an existing SAP Business Intelligence solution, but would like to expand it to Sesam. We can connect your existing SAP BI to the Sesam Portal. This allows you to continue using your existing reports and even apply the Sesam analysis tool. However, other variants are also possible. 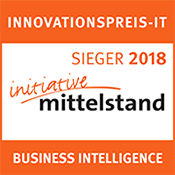 In addition to SAP ERP, we would like to connect other systems to our Sesam SAP Business Intelligence. The connection of non-SAP systems is provided for. What is a SAP Netweaver Business Warehouse? A SAP NetWeaver Business Warehouse is a Data Warehouse for SAP applications which is used to support management decisions. A Data Warehouse is a database that is separated from operational management support systems, as is Enterprise Resource Planning, Customer Relation Management and Manufacturing Executions System. A Data Warehouse has read access only. At regular intervals, the data from the operational systems are collected, unified, arranged according to usage, summarized and permanently made available in the Data Warehouse for reporting purposes. Do we need a SAP Netweaver Business Warehouse to be able to use Sesam? Sesam is a preconfigured SAP NetWeaver Business Warehouse. Sesam can be connected in 20 days to your SAP ERP. The goal is to introduce the Sesam standard report portfolio within 20 days. The Sesam SAP Netweaver Business Warehouse is designed in such a way that individual key figures and calculations can then be implemented quickly and cost-effectively. Does Sesam contain a real SAP Netweaver Business Warehouse? Sesam is a real and complete SAP Netweaver Business Warehouse (BW). The Sesam BW, however, stands out from a BW that most consulting companies would implement for you. The analysis output of the BW takes place via the SAP Enterprise Portal. We have transferred all the important analysis functions from the context menu into an excel-like ribbon. What do you need a SAP Netweaver Business Warehouse for? The SAP Netweaver Business Warehouse allows you to connect several source systems to the Warehouse and thus to link and analyze the data from several source systems. Why can I not analyze the data from our ERP and CRM without a SAP Netweaver Business Warehouse? You can also analyze data without SAP Netweaver Business Warehouse. However, if, for example, you were analyzing data from your ERP, this unfortunately would result in a high load on your ERP since both bookings and analyzes are carried out on the ERP. The performance of your ERP would suffer. If you want to combine data from your ERP and your CRM for analysis, you have to find a way to do this via Microsoft Excel or Access, for example. Both data sources can be connected to an SAP Netweaver Business Warehouse. Does Sesam perform performance optimization with an SAP NetWeaver BI Accelerator? No, it does not. We have only positive experiences of the performance of Sesam so far. We are waiting for SAP S/4 HANA to be supported by Microsoft Azure, and will then check whether and to what extent a conversion of the data model is required. Does Sesam use SAP S/4 HANA technology? No, it does not. We collected positive experiences of the performance of Sesam so far (1-4 seconds query time) . We are waiting for SAP S/4 HANA to be supported by Microsoft Azure, and will then check whether and to what extent a conversion of the data model is required. Does Sesam support SAP ERP on Hana? 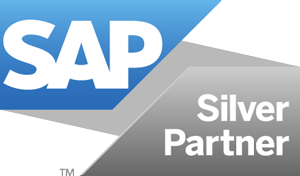 Sesam is compatible with SAP ERP on Hana. For Sesam, it does not matter if SAP ERP is using or not using Hana technology. Does Sesam support SAP BusinessObjects? Reports for BusinessObjects are provided for, but you will need a separate SAP BusinessObjects license in order to use these reports. What does Online Analytical Processing (OLAP) mean? For the analysis of the data held in the Data Warehouse, the SAP NetWeaver Business Warehouse uses the OLAP technology. OLAP distinguishes the BW as a decision support system as it allows decision-makers to quickly and interactively analyze the multidimensional data modeled according to economic aspects. If you have any questions about our Sesam analysis tool, you should take a look at our user manual. The Sesam analysis tool clearly differs from the known SAP Enterprise Portal. We made every effort to make the SAP Enterprise Portal application-friendly and state-of-the-Art. For this reason, we have transferred all important analysis functions from the context menu to the Excel-like ribbon. In this way, the portal has become clear and intuitive. We have an existing SAP Business Intelligence solution and are interested in your analysis tool/ribbon. Our analysis tool is also available separately from Sesam. Contact us for an offer. What are the advantages that Sesam offers for the operation and support of the Business Intelligence solution? You can already use Sesam after 20 days without having to increase your personnel inyour IT department. You keep your personnel costs low and still get the service required for your Sesam Business Intelligence. Your Sesam is always up to date and all your employees always work with the same Sesam version. We do not have enough staff to maintain and update an SAP Business Intelligence solution. Sesam service takes over the operation and support of Sesam Business Intelligence. A central contact person to deal with Sesam needs is required from your side. How many employees are needed internally to minister Sesam? We recommend using one central contact person for Sesam. This person ideally assumes communication with the specialist areas, carries out training courses and provides first-level support. All other tasks such as operation, maintenance, support and further development are carried out by us. Can we create our own queries, as is the case with a classic SAP Business Intelligence solution? Sesam is just as flexible as a classic SAP Business Intelligence solution. Of course, you can develop your own queries using SAP’s BEx Query Designer. What tasks are meant when talking about operation? When operating Sesam, loading processes are carried out during the night. We take care of the monitoring of the processes and ensure that you have up-to-date data in the morning. If loading errors occur, the coordination for correcting the error is coordinated with your central contact person. What tasks are meant when talking about support? Ideally, your central contact person provides the first-level support, as this person cooperates with your business departments daily and also carries out the training courses. We accept all support requests that cannot be solved directly from first-level support. However, other configurations are also possible. As a Sesam customer, do we have influence on new standard reports and new connections? We cooperate closely with our customers. If the requirements of our customers for a report or a connection are given, these extensions are implemented as part of the Sesam development. Further Sesam developments are included in the monthly rental fee. Further information on Microsoft Cloud Germany you find on our page CLOUD. What are the advantages of a cloud solution for our company? By integrating a cloud, your reports are available always and everywhere over the Internet. Furthermore, a cloud solution is often a more cost-effective alternative than investing in your own servers. You can increase or decrease the server capacity at any time. Which cloud provider is behind the Sesam cloud? By default, Sesam runs over Microsoft Azure. However, if there are reasons why Microsoft Azure is not suitable for your Sesam, we will find another suitable supplier together. Are our data safe in the cloud? If you are using a cloud service, you must confident that your data is secure, that data protection is guaranteed, and that you retain ownership and control over the data. Microsoft Azure sets the highest priority on security and data protection at every step, from coding development to incident processing. Microsoft’s many years of experience in the implementation of online services is accompanied by a comprehensive investment in a fundamental technology that integrates security and data protection into the development process. Read more about Microsoft Azure security and privacy. We are an international company. Is the Sesam cloud solution suitable for us? Especially for internationally active companies, the cloud offers the advantage that the reports are available worldwide. Dial-in to a VPN is no longer necessary. We have heard that a cloud solution is paid for “Pay-per-use”. How does it work with Sesam? Sesam is rented monthly. The monthly rental fee depends on the number of reporting-users and the size of the company (data volume). However, a cost ceiling can also be agreed on independently of users and data volumes. The “pay-per-use” model is not supported. We have sufficient server capacity for a BI solution and do not want to go into the cloud. On request, we can also implement Sesam into your existing server landscape (on your premises). How does the rental fee model work? The rental fee is individually calculated based on your company’s size (data volume) and number of users. We would be glad to provide you with a personal quote. What does the Sesam rental fee include? The Sesam rental fee includes the use of the Sesam reporting world, the operation, support as well as further development of the reporting world and technical updates. There are no additional monthly fees for you. How does the Sesam license model work? We do not sell any licenses for Sesam. Sesam will be exclusively remunerated through the above mentioned rental fee. It can also be purchased, if required. What other costs are to be expected? Additional costs arise exclusively for customer-specific developments. Can Sesam also be purchased? Sesam can also be bought. You can purchase Sesam at the beginning of the implementation or even after implementation. The software rental agreement you enter with us provides for a purchase option. If you purchase Sesam, operation, support and further development will be within your area of responsibility. As a matter of fact, we are available as a consultant at your side in this case. Our free support line is available Monday to Friday from 8.30 am to 5:30 pm on 07191 18 70 190. Find out more about our online demo (free and individual product presentations in Livestream) and our free trial phase. How do we cancel Sesam? We will enter into an indefinite service contract with you, which you can terminate quarterly with a 30-day notice period at the end of the quarter. Written cancellation is necessary for this. Then your Sesam application will be irrevocably deleted after a 30-day security period. Are we bound to conesprit GmbH as long as we use Sesam? If you want to use Sesam as Software-as-a-Service, you are bound to conesprit GmbH as a contract partner. However, you define the scope of services from conesprit that you want to use. If you wish to have Sesam operated internally or through another company, however, you may purchase Sesam. In this case, we implement Sesam for you and then you become the owner. Commercial register /commercial register no. What is a Software-as-a-Service (SaaS)? Sesam is a Software-as-a-Service solution. The definition for Software-as-a-Service as well as the reasons for Software-as-a-Service can be found here.